CAT is the well known exam for adapting the new pattern and experimenting with the different test structure. In CAT 2014 that has proved again. Let’s have a look that how in 2014, CAT has come up with the surprises. If we analyze the current testing structure then aspirants have greater choice of questions that can be beneficial to increase the number of questions attempt. It can also be assume that the level of difficulty of the questions would be slightly simpler than the previous year. Therefore these changes are really good to score well in the CAT 2014. Change in Test pattern: To make CAT 2014 examination more comfortable and simple IM-Indore has increased the examination time from 140 minutes to 170 minutes. It has discontinued purchase of offline vouchers and the number of questions has been increased to 50 in each section - quantitative aptitude & data interpretation, verbal ability and logical reasoning. Previously there were 30 questions in it. 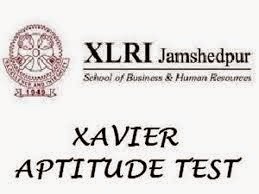 XAT is scheduled to be conducted on 4 January 2015 in 47 Indian cities along with 2 international centers. There is a good news for all the aspirants who have not been able to register for CMAT examination to be conducted in September 2014. AICTE (All India Council for Technical Education), the conducting body for CMAT has extended the deadline to register for the exam from 25th August to 1st September 2014. They have done this in order to give aspirants more time and also, to invite more registrations. At the same time, AICTE has said that not further extensions will be done. Previously in February 2014 also, registration dates were extended. IBSAT 2014 : How to fill the Application form? IBSAT is an online aptitude test conducted by ICFAI Foundation for Higher Education, for students seeking admission to the MBA/PhD programs of IBS Hyderabad. Candidates can apply for IBSAT 2014 on or before 1 December 2014. 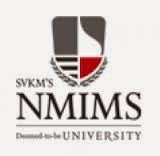 NMIMS, School of Business Management (SBM) invited applications for admission to MBA & PGDM/PGDBM Programmes for academic year commencing from June 2015. The admission for all the Programmes will be through NMIMS Management Aptitude Test (NMAT™) conducted by NMIMS. For NMAT - 2015, candidates can apply for more than one Programme and more than one campus. Indian Institute of Foreign Trade (IIFT) invited applications for admission to two-year MBA (International Business) at New Delhi and Kolkata. IIFT was established in 1963 as an autonomous body by the Ministry of Commerce & Industry to contribute in the skill building for the external trade sector of India. CAT 2014 is being conducted by IIM Indore and registration windows have been opened. One can register through the official website www.iimcat.ac.in from 6th August 2014 to 30th September 2014. For your convenience, we have brought step by step registration procedure for CAT 2014. West Bengal Public Service Commission (WBPSC) announced Scheme of Examination for Recruitment to the posts of ASSISTANT ENGINEER (Agri-Mechanical) in West Bengal Service of Agricultural Engineers under the Water Resources Investigation & Development Deptt. Institute of Banking Personnel Selection (IBPS) invited applications for the recruitment of Clerks in Public Sector Banks 2014. The Common Written Examination (CWE) will be conducted by IBPS tentatively in December 2014.